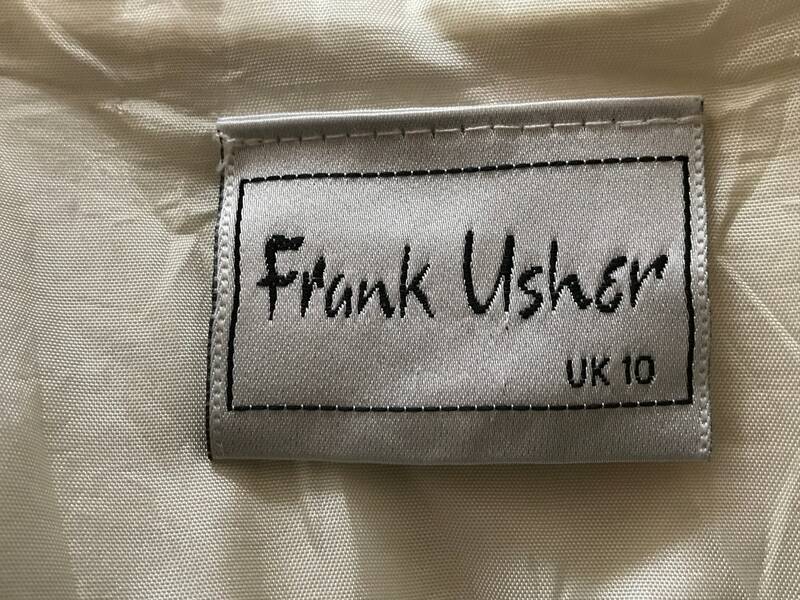 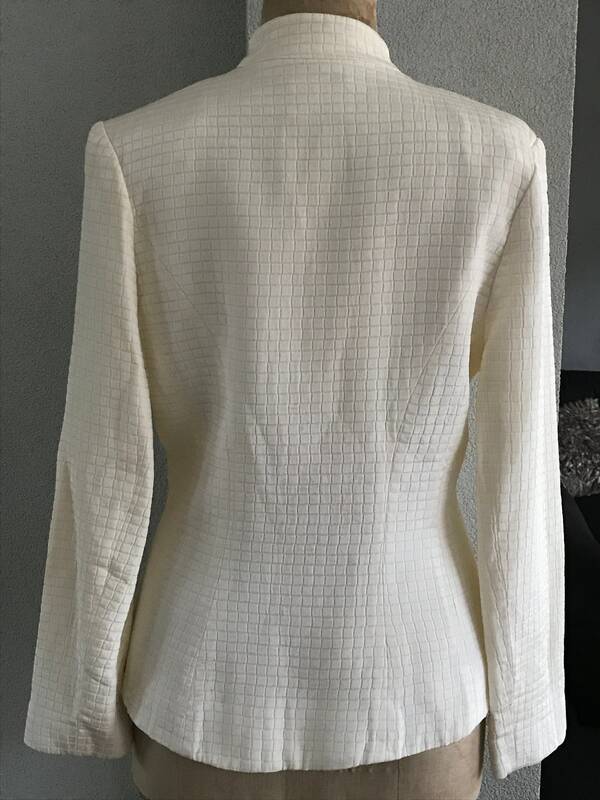 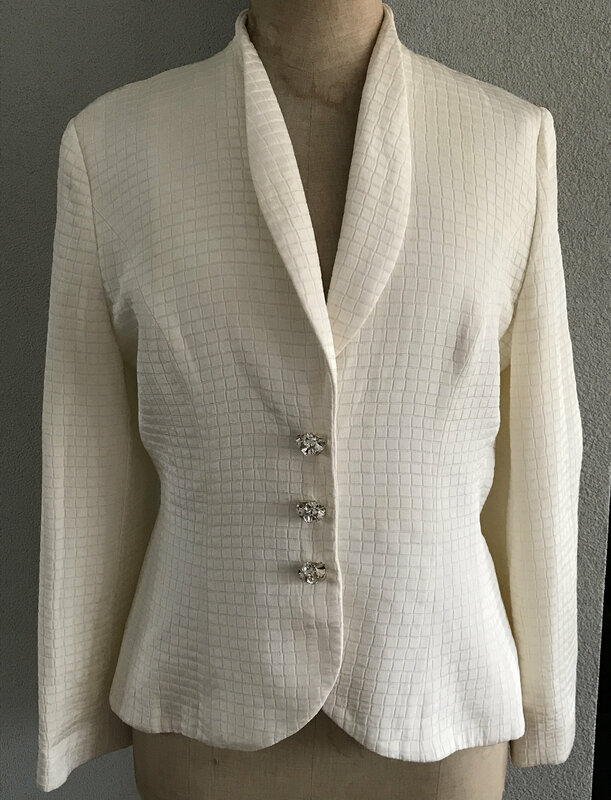 Beautiful offwhite jacket by Frank Usher in a very good condition! 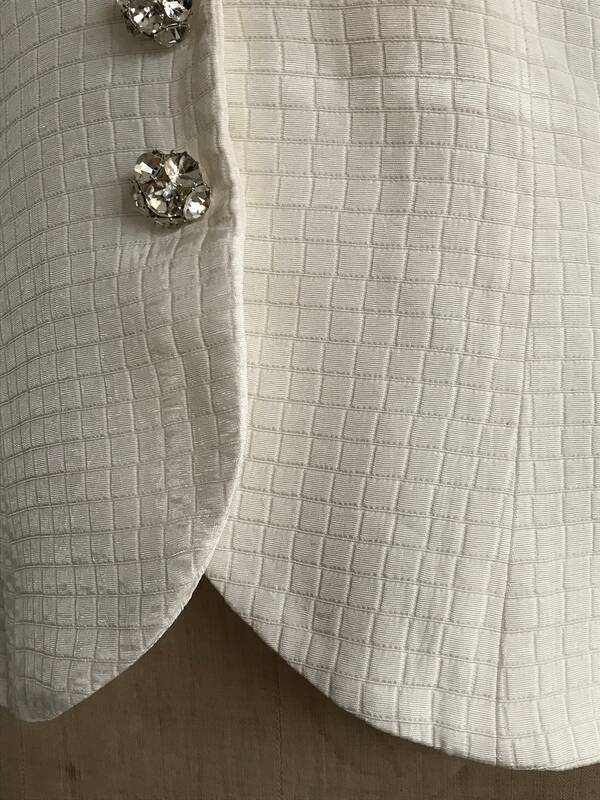 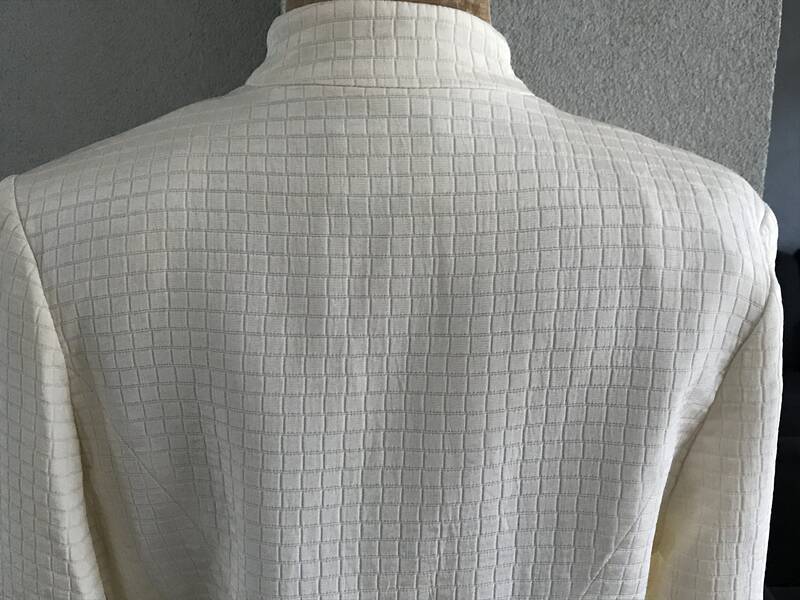 The jacket is offwhite and the shiny fabric is woven in little gingham. 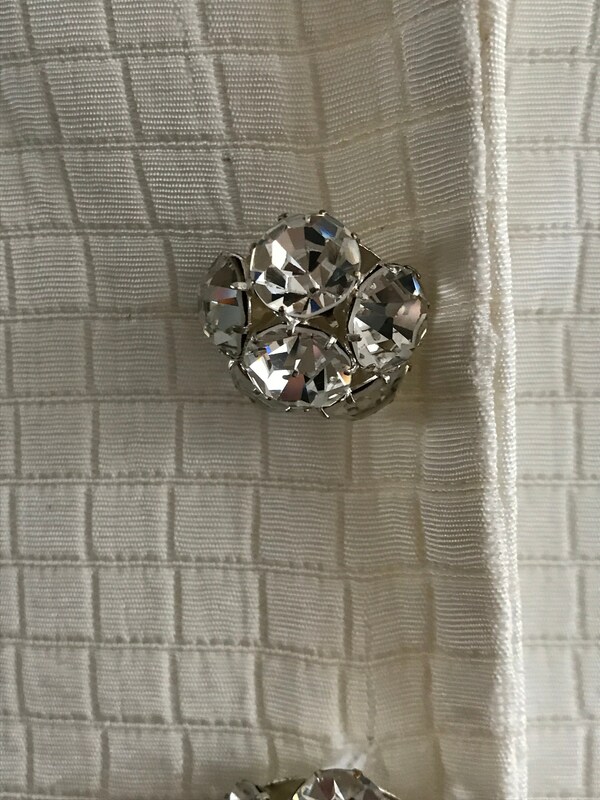 The buttons are stunning! 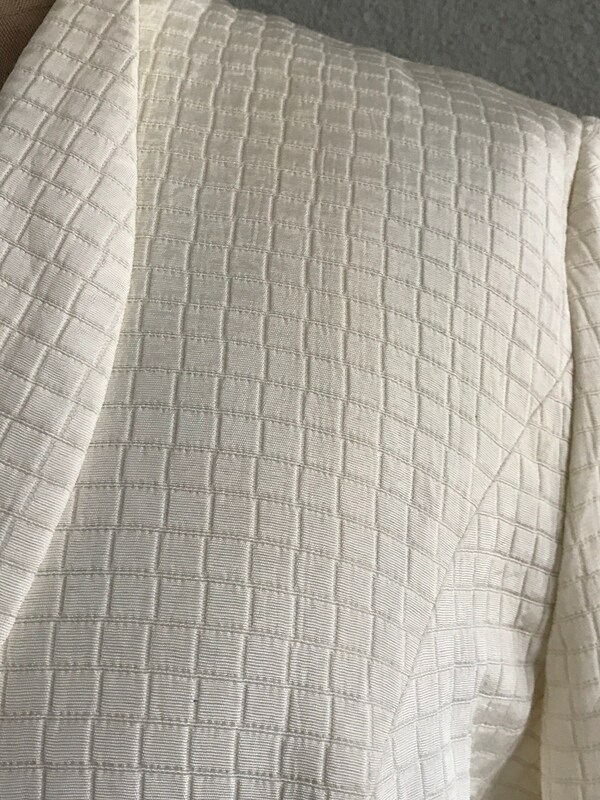 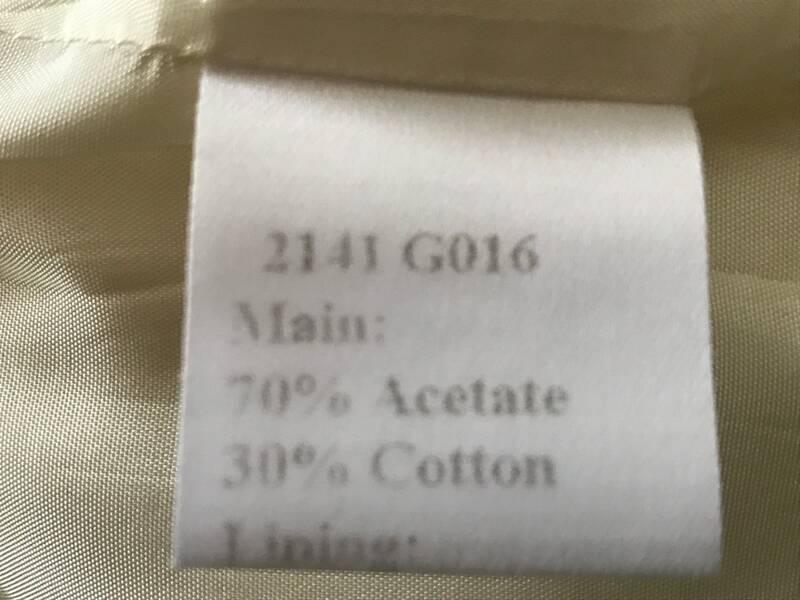 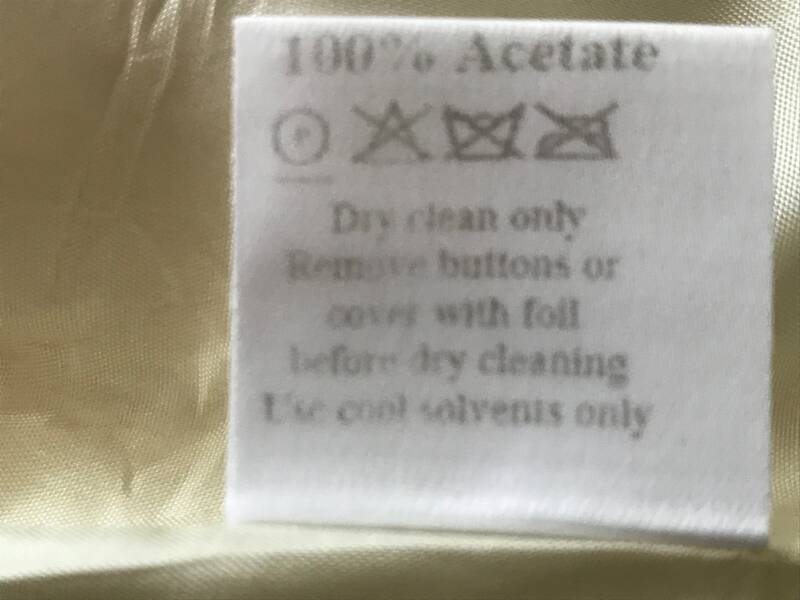 The jacket is fitted and fully lined.